The "romance economy" seems blossoming in China on Valentines' Day, which fell on Thursday. Flowers remain the most popular gift on Valentine's Day. A total of 500,000 flowers from farms in Southwest China's Yunnan Province were sold on online platform Taobao's shopping channel Juhuasuan within three days. Aside from the ever-popular roses, sales of tulips increased 130 percent compared with the previous year. They become one favorable choice among young people. There's been a gender reversal in the past two years when it comes to flower-buyers on Taobao. This year, 60 percent were female; in 2017, men dominated the sector at 70 percent. On a more intimate note, according to figures released by online retail giant suning.com, the sales of condoms between February 4 and Tuesday rose 204.9 percent year-on-year. 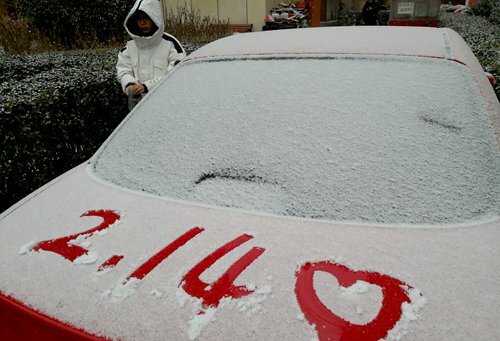 East China's Jiangsu Province saw the highest Valentine's sales; Northwest China's Gansu Province reported the lowest numbers.